Our quality range of Sensor Taps is widely demanded by various hotels, restaurants, hospitals and corporate offices. These are economical and also help in reducing the wastage of water and are offered in various sizes and design as per the clients’ specific requirements. We are manufacturing and supplying a wide range of sensor taps that ensure no leakage, dripping or mess as well as are equipped with sensors that reduce wastage of any kind. These are offered in variety of finish, designs and sizes and successfully add touch of style to any decor. This range can be electrically or battery operated. 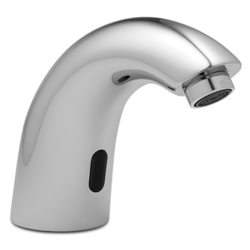 Looking for Sensor Taps ?